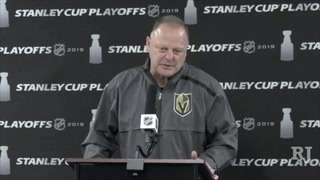 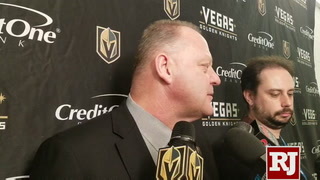 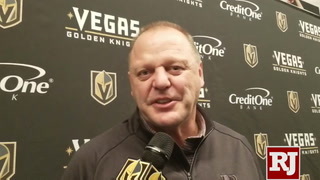 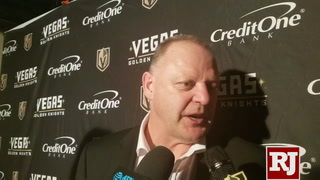 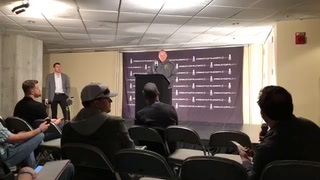 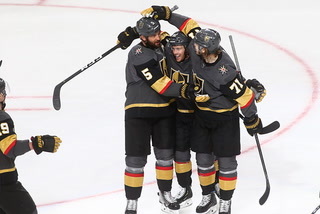 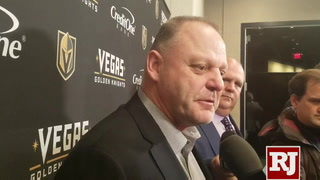 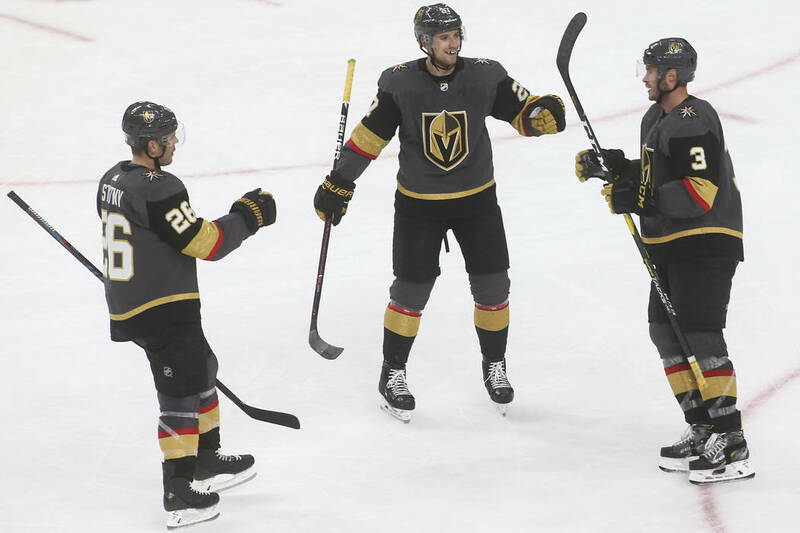 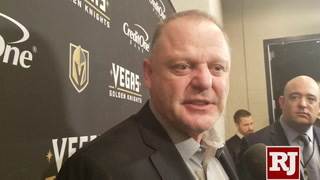 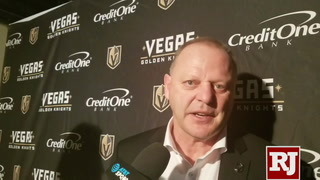 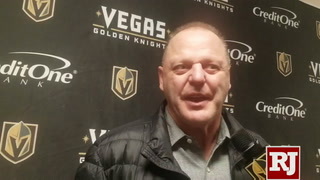 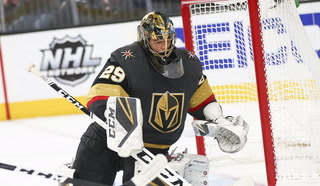 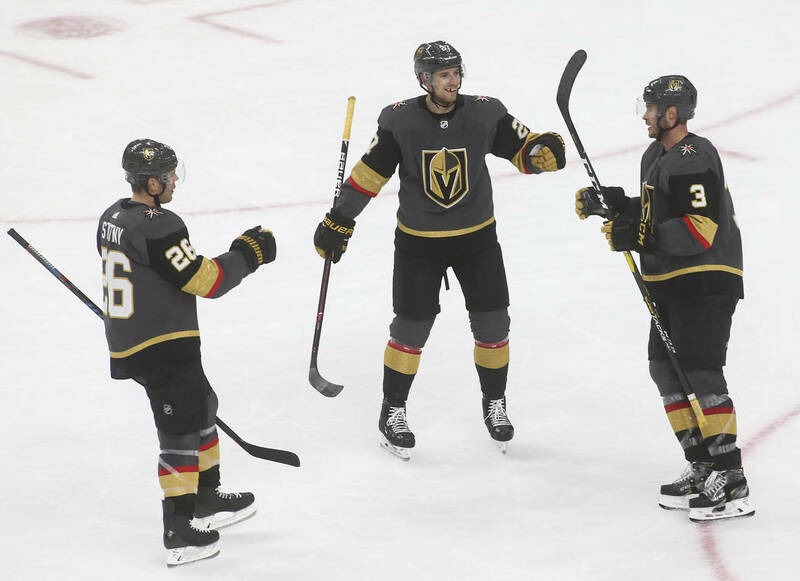 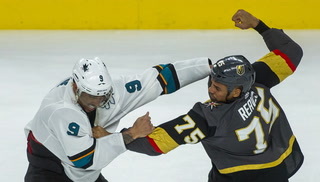 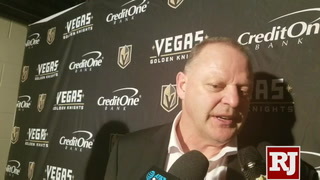 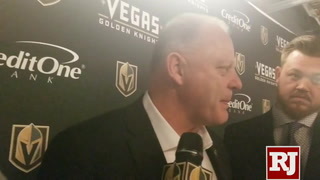 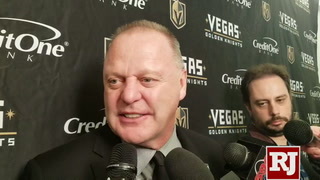 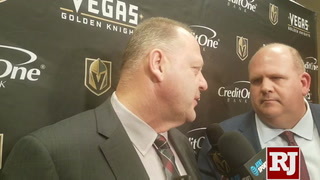 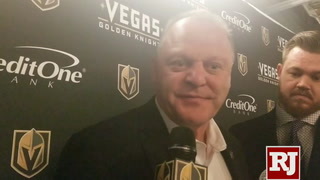 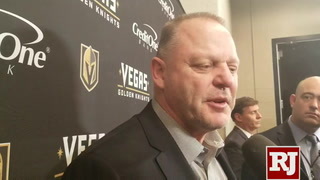 Golden Knights coach Gerard Gallant is generally pleased with the results after he made changes to the Golden Knights defense 2½ weeks ago. 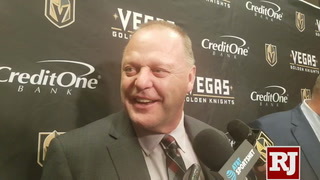 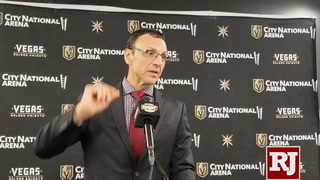 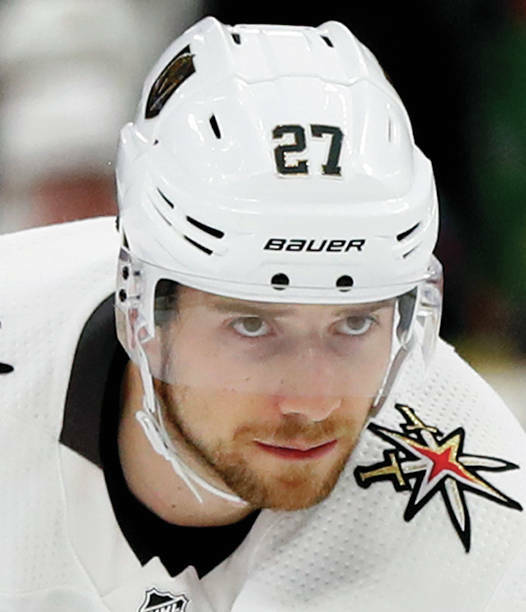 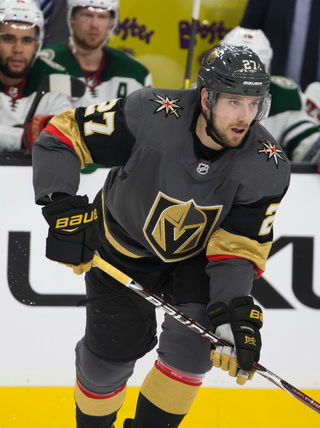 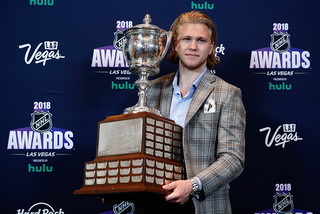 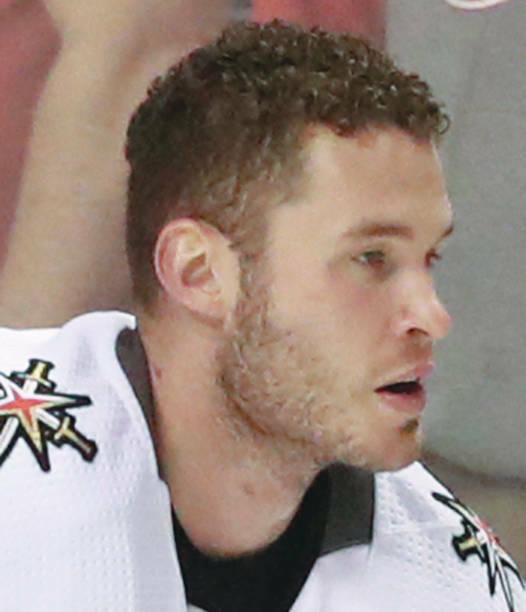 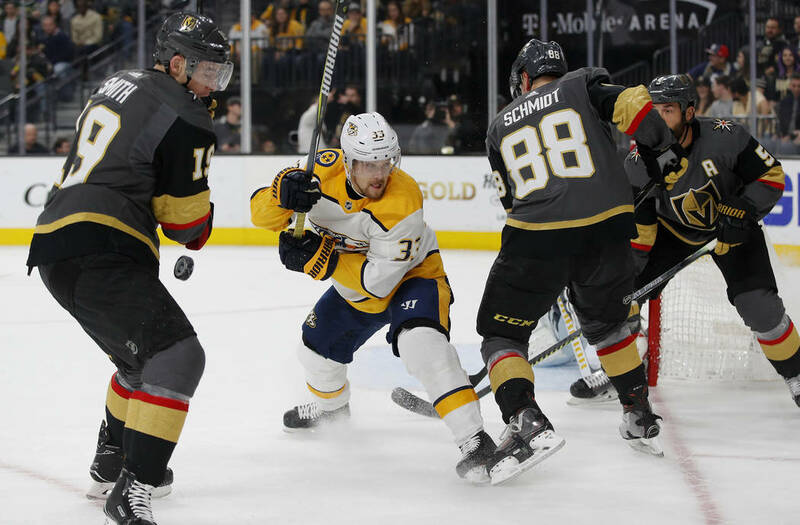 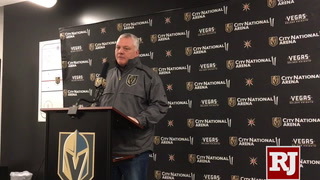 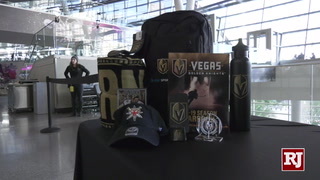 When Gerard Gallant changed the Golden Knights defense pairings 2½ weeks ago and it helped result in a victory, the coach was cautious not to overstate the importance of the move. 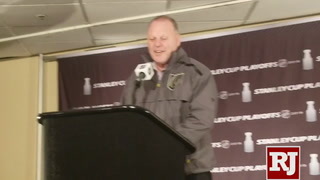 But now that there’s a larger sample size to draw from, Gallant is generally pleased with the results. 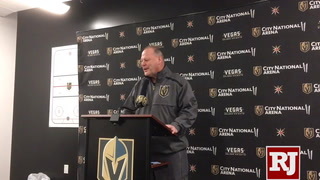 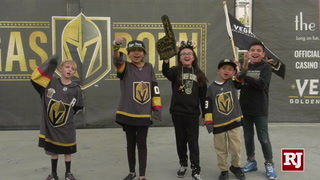 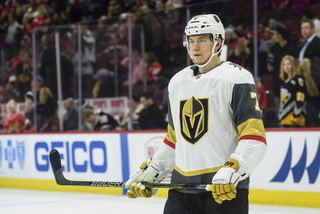 To quickly recap, Gallant juggled his top four defensemen for Feb. 16 game against Nashville, and the new lineup helped the Knights to a convincing 5-1 win. 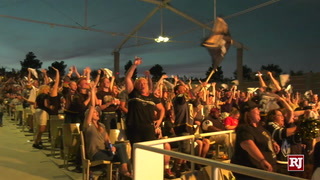 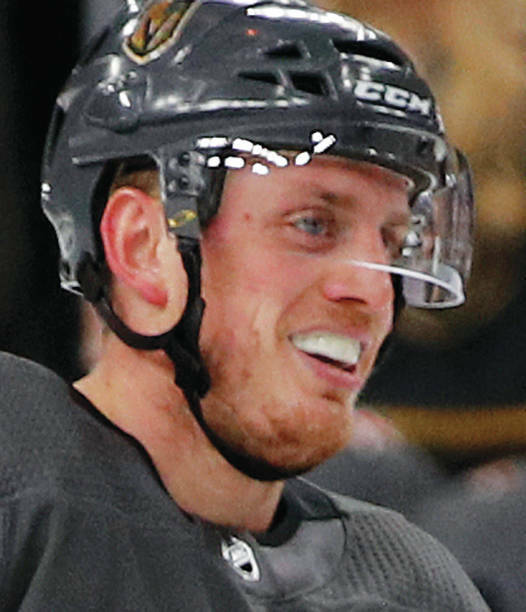 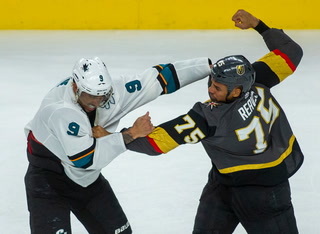 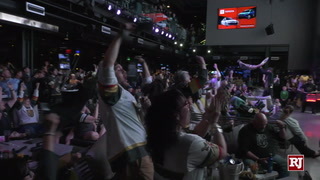 Nate Schmidt, who partnered McNabb for more than a year forming the duo that was matched against the opposing team’s top line, moved to the left side and skated with Engelland. 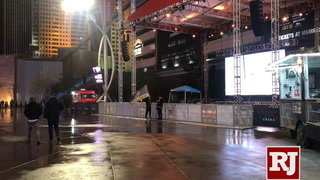 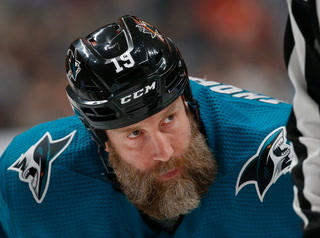 Theodore shifted to the right side and is paired with the stay-at-home McNabb. 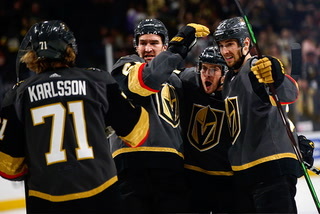 Since the change, defensemen have scored in five of the Knights’ eight games. 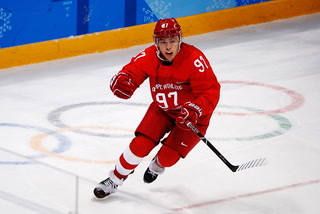 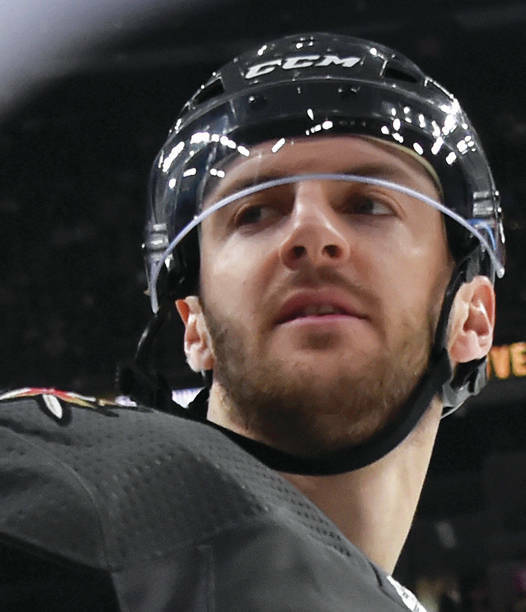 The switch has been especially liberating for Theodore, who Gallant said is noticeably more active carrying the puck and jumping into the rush. 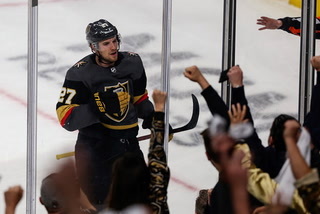 Theodore has six points (two goals, four assists) in eight games working alongside McNabb and owns a plus-7 rating during a four-game win streak. 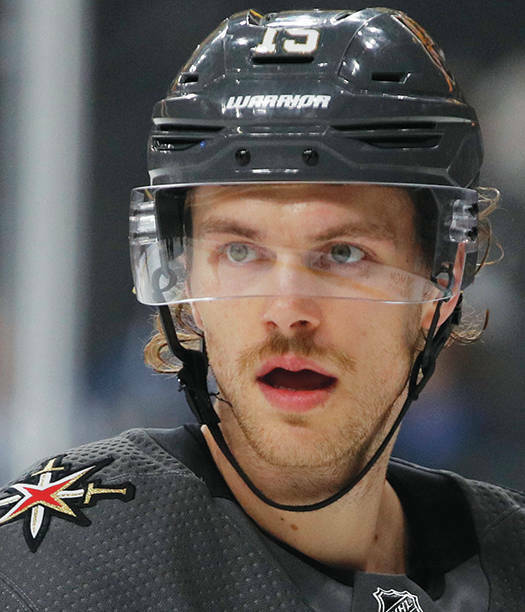 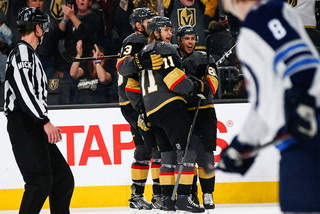 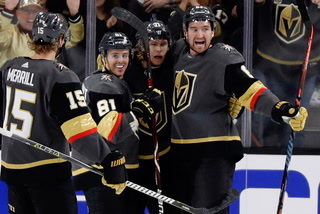 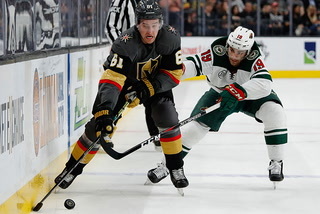 The possession metrics also show the McNabb-Theodore duo’s effectiveness over the past eight games, as the Knights have registered 62.5 percent of the 5-on-5 shot attempts when Theodore is on the ice, according to the website NaturalStatTrick. 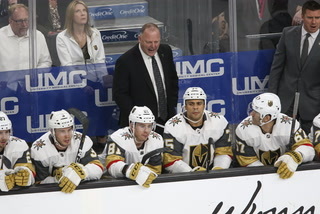 The 5-on-5 shots attempts are 58 percent in favor of the Knights with McNabb on the ice. 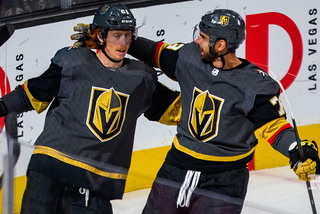 Schmidt also has benefited offensively from his new partnership with Engelland, producing five points (two goals, three assists) in the past eight games. 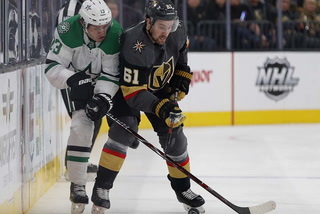 But that duo has been on the wrong side of the possession numbers during that time, with the shot attempts slightly tilted in favor of the opposition when Engelland and Schmidt are on the ice. 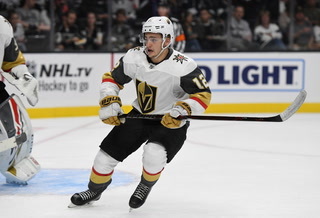 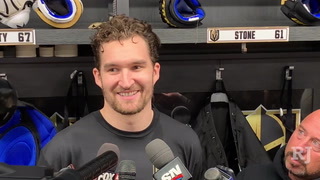 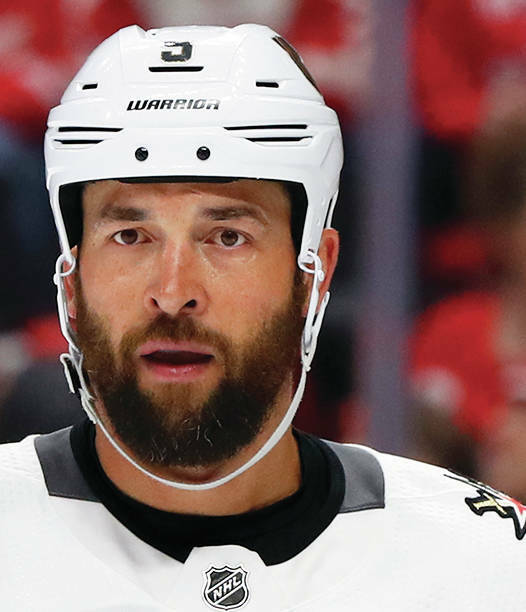 The Knights finished with an 83-47 advantage over Vancouver in 5-on-5 shot attempts during Sunday’s 3-0 victory, yet they managed a 44.9 percent share (22 of the 49) when Engelland was on the ice. 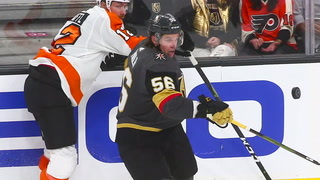 Schmidt’s Corsi For (shot attempts) percentage at 5-on-5 was slightly better at 50 percent (23-23). 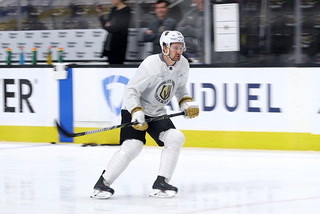 Colin Miller, who returned Feb. 26 from a two-game stay in Gallant’s doghouse, remains with Jon Merrill in the third pairing. 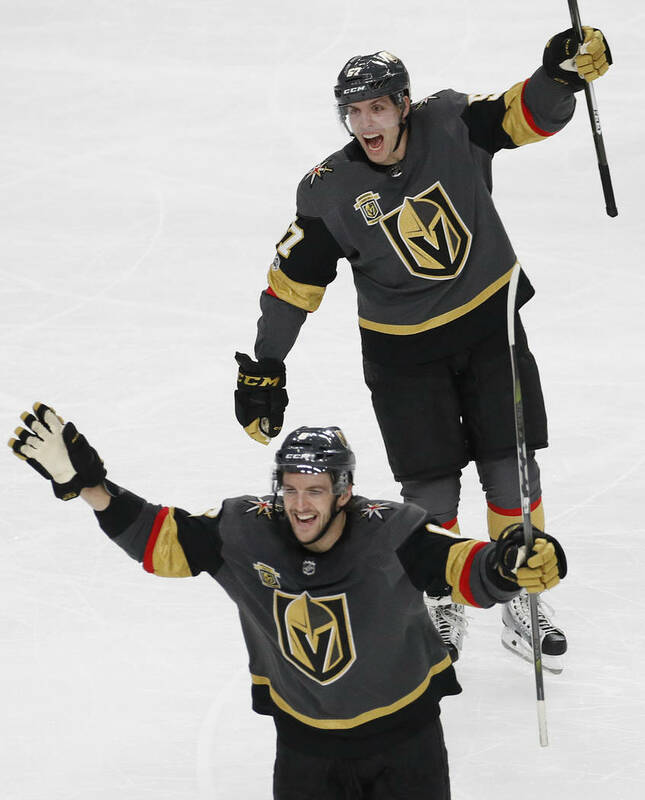 That duo destroyed Vancouver in terms of possession, with the Knights accumulating better than 76 percent of the shot attempts when Miller was on the ice and 65 percent with Merrill. 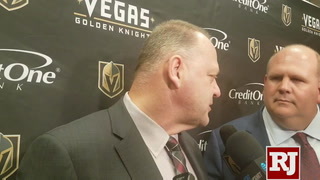 “I think we’ve been working well together. 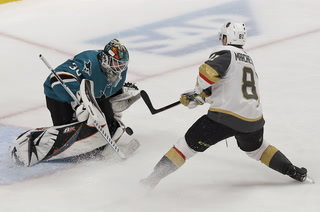 On the offensive blue line he definitely seems to find me a lot,” Miller said. 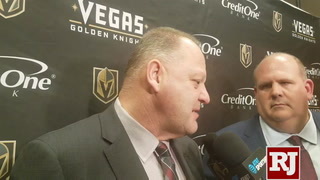 “We have seven great defensemen on this team. 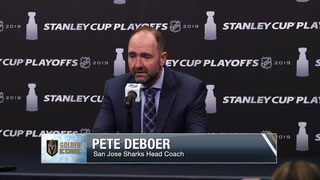 I think there’ll be changes even more going throughout the season here. 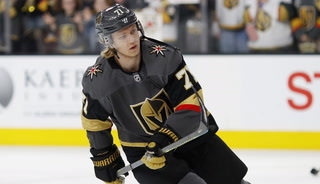 Whoever’s playing their best should be in the lineup and should be playing.